Brief：China property developer,Fosun International has reportedly acquired a piece of prime seaside real estate in Greece for 915 million euros ($1.26 billion). The investment conglomerate run by the man often referred to as China’s Warren Buffett seems set to pick up another low-priced, high value investment as a group led by Fosun International has reportedly acquired a piece of prime seaside real estate in Greece for 915 million euros ($1.26 billion). Fosun, which manages to aggressively pursue bargains across a variety of sectors and locations, has teamed with one of Greece’s best known real estate firms, Lamda Development and prominent Abu Dhabi developer Al Maabar, to bid for a 6.2 million square metre (2.39 square mile) site with 3.5 kilometres (2.17 miles) of coastline that was formerly home to Athens’ Hellenikon airport. According to a report by Reuters, sources close to the deal say that Fosun’s latest bid, which was submitted on March 26th, has been accepted by the authorities responsible for disposing of the Central Park-sized project that already includes an operational 337-berth marina. Fosun, which is managed by Chinese billionaire Guo Guangchang, got its start in real estate and owns Shanghai-based developer Forte. Last year the company acquired One Chase Manhattan Plaza from JP Morgan Chase for $725 million in one of the biggest foreign investments by a Chinese company during 2013. Fosun and its partners are buying the prime piece of real estate from a seller that is under severe pressure. Greece’s Hellenic Republic Asset Development Fund (HRADF) privatisation agency is required to raise 3.6 billion euros ($4.95 billion) from asset sales this year as a condition of the international bailouts that have kept Greece afloat since May 2010. The investment opportunity for Fosun is similar to its move in January this year when it acquired Portuguese insurance firm Caixa Seguros e Saude from the Portuguese government for 1 billion euros ($1.36 billion). Portugal was forced to sell the insurer as a condition of the 78 billion euro ($106 billion) aid package it received from the European Union. Fosun and its partners will be required to immediately put down a third of the total bid to acquire a 99 year lease on the site, with the rest of the investment to be made over the next decade. Although Fosun started out in Chinese real estate, the company has a professed goal of investing like Warren Buffett, and it has spread its projects across industries from retail to medical while acquiring assets on three continents. The decision to take advantage of depressed real estate prices in Greece when other investors are staying away follows Buffett’s “buy low” philosophy. The Fosun group were the only bidders for the site. 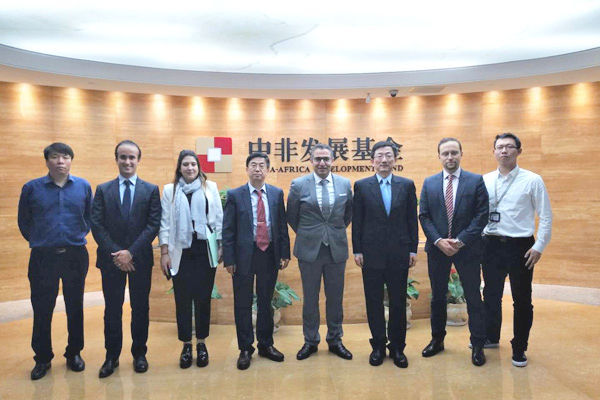 Although Fosun is aggressive about moving overseas, it has shown a preference for hedging its risks by working with experienced local partners – Lamda for this Greek project – to ensure that it has the local knowledge necessary to execute effectively away from its home environment. When the company moved to acquire France’s Club Med last year for $765 million it joined up with French financier AXA Private Equity (since renamed as Ardian). 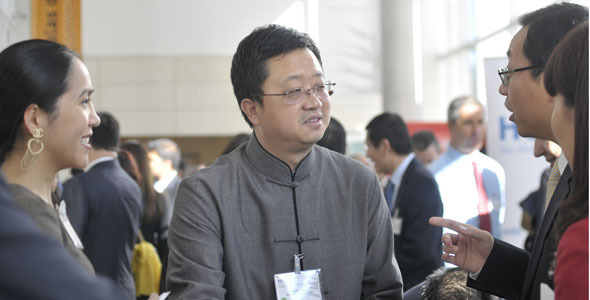 This partnership approach, which Fosun shares with fellow international investor China Vanke, is in marked contrast to the high-rolling style of Shanghai’s Greenland Group that prefers to take controlling or sole stakes in early phase real estate developments in markets in multiple markets in rapid succession. In an interview with the Hong Kong media on Friday, Fosun CEO Liang Xinjun spoke of the company’s investment record and desire to be more like Buffett. “After acquiring insurance companies in Portugal in February this year, Fosun has taken a big step towards implementing the Warren Buffett model of development,” Liang told the South China Morning Post. Liang said the company has made 49 investments since 2007, across sectors as diverse as health care, finance, real estate and the Internet, while maintaining an internal rate of return of 38 per cent. The acquisition of the former airport site would be the second major Greek investment by Fosun, which is already the second-biggest shareholder of Greek fashion retailer Folli Follie. The conglomerate acquired a 9.5% stake in Folli Follie for €84.59 million in May 2011.